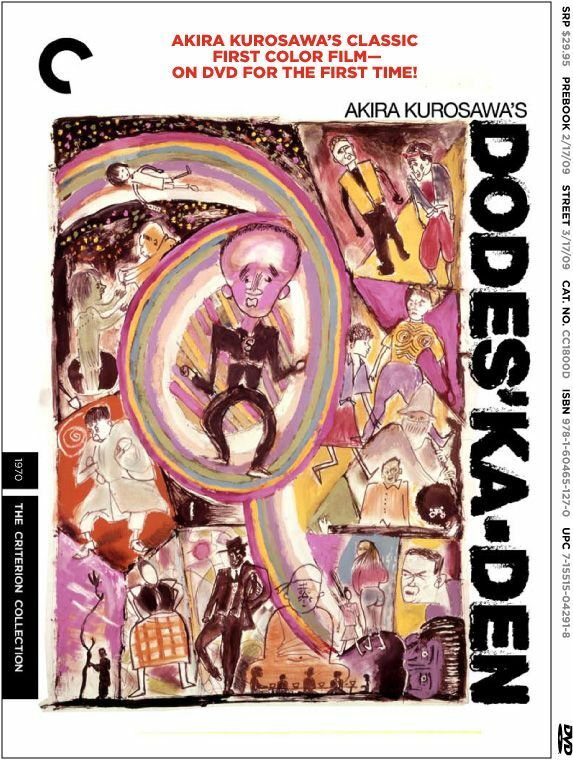 From Kurosawa, we’re getting his first color film, Dodes’ka-den. 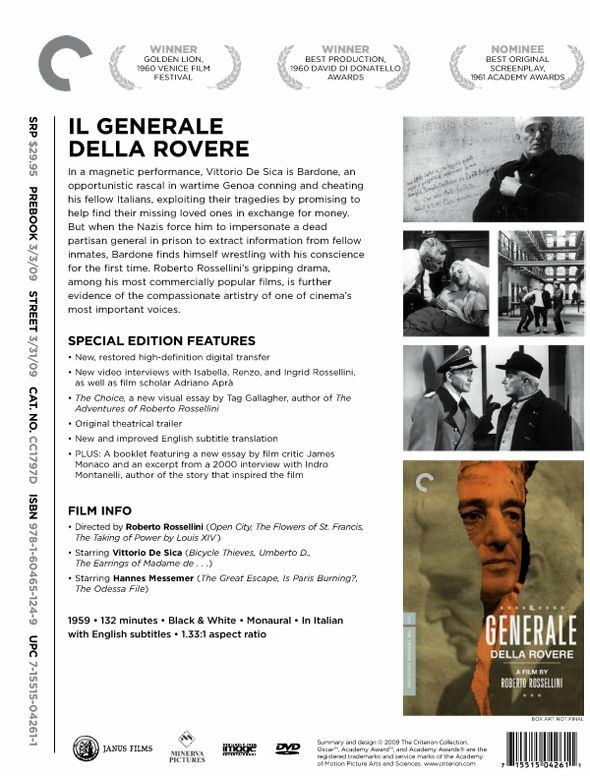 And from the other director’s, three richly detailed historical dramas (Truffaut and Rossellini tackle Nazi-occupied <?xml:namespace prefix = st1 ns = "urn:schemas-microsoft-com:office:smarttags" />Europe in “The Last Metro” and “Il Generale della Rovere”; Wajda travels back to the French Revolution with Gérard Depardieu for “Danton”. 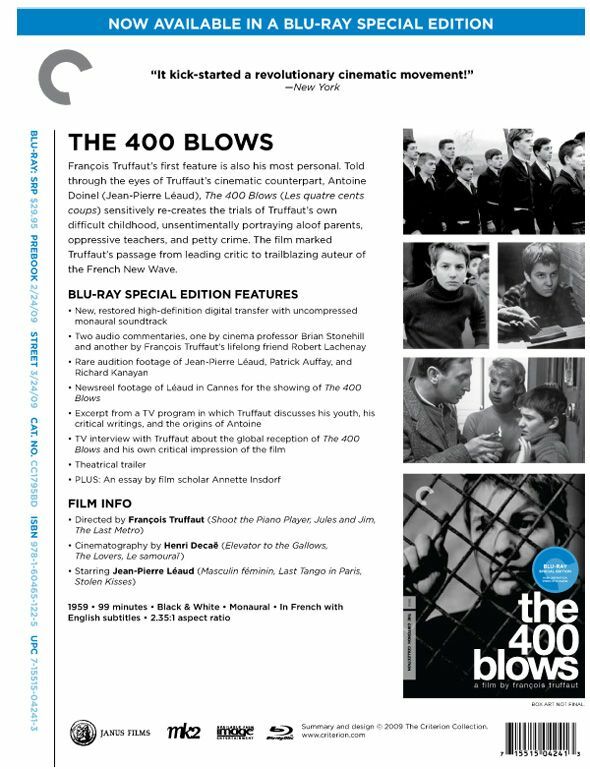 Finally, we’re getting a Blu-ray of Truffaut’s “The 400 Blows”! 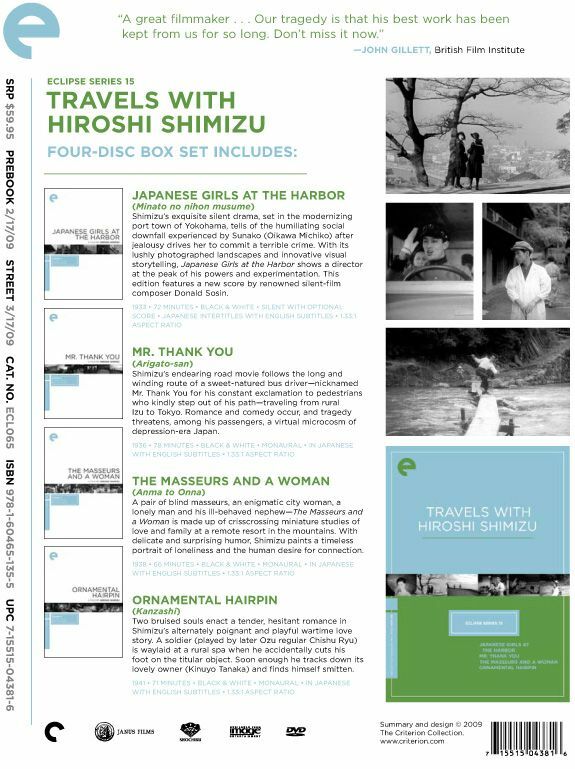 And from Criterion’s Eclipse line, we’re getting four films from Hiroshi Shimizu. 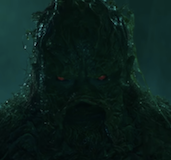 He’s one of the most acclaimed Japanese directors that many people have never heard of. 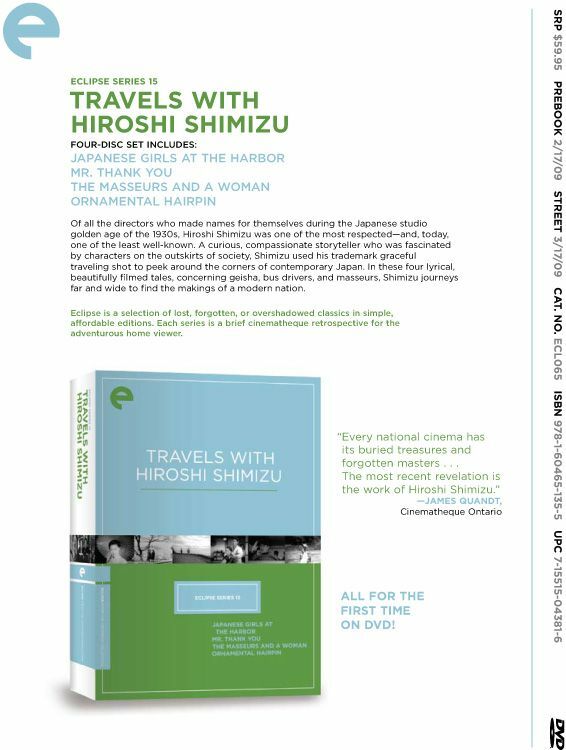 Hiroshi Shimizu worked alongside Ozu and Mizoguchi during the thirties and forties, and he made gorgeous films that can be held up alongside the works of the other masters. 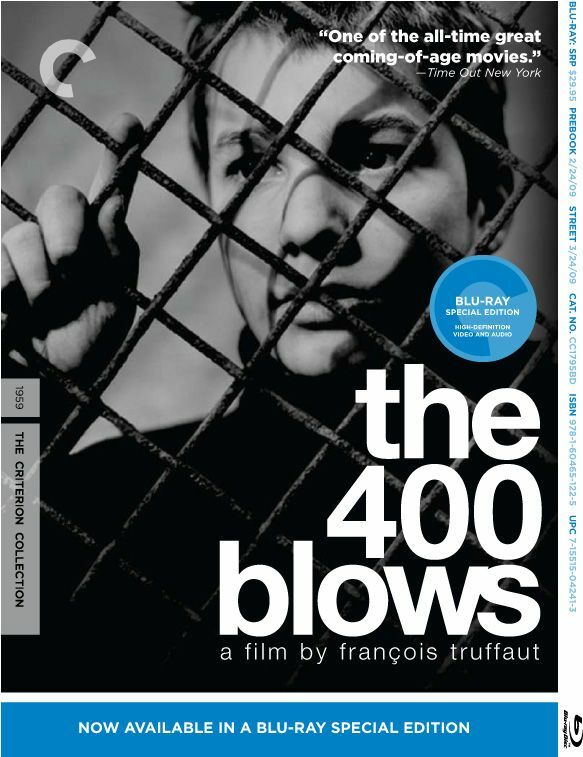 And one last thing, four films from Criterion are back in print in March….LE CORBEAU, PORT OF SHADOWS, QUAI DES ORFÈVRES and VARIETY LIGHTS. For more info on all the releases, here’s the cover art and info I was sent. Take a look. 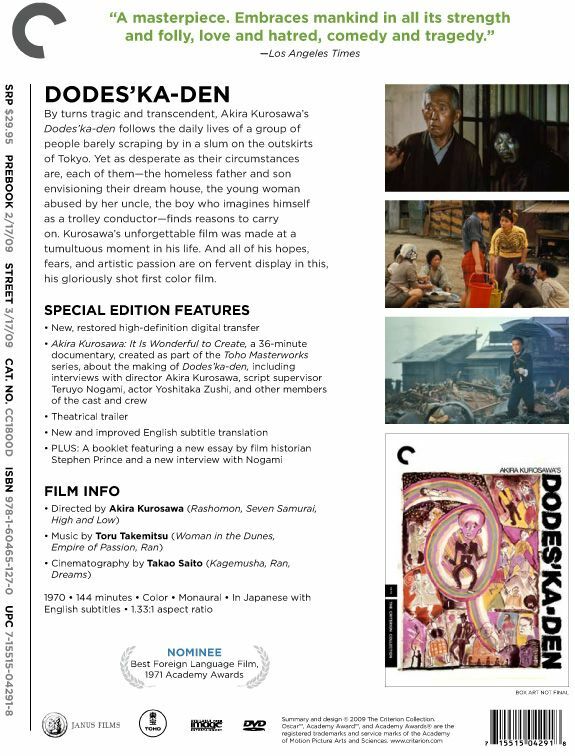 By turns tragic and transcendent, Akira Kurosawa’s Dodes’ka-den follows the daily lives of a group of people barely scraping by in a slum on the outskirts of Tokyo. 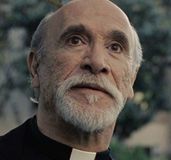 Yet as desperate as their circumstances are, each of them—the homeless father and son envisioning their dream house; the young woman abused by her uncle; the boy who imagines himself a trolley conductor—finds reasons to carry on. Kurosawa’s unforgettable film was made at a tumultuous moment in his life. 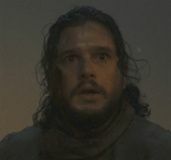 And all of his hopes, fears, and artistic passion are on fervent display in this, his gloriously shot first color film. In a magnetic performance, Vittorio De Sica is Bardone, an opportunistic rascal in wartime Genoa, conning and cheating his fellow Italians, exploiting their tragedies by promising to help find their missing loved ones in exchange for money. But when the Nazis force him to impersonate a dead partisan general in prison to extract information from fellow inmates, Bardone finds himself wrestling with his conscience for the first time. 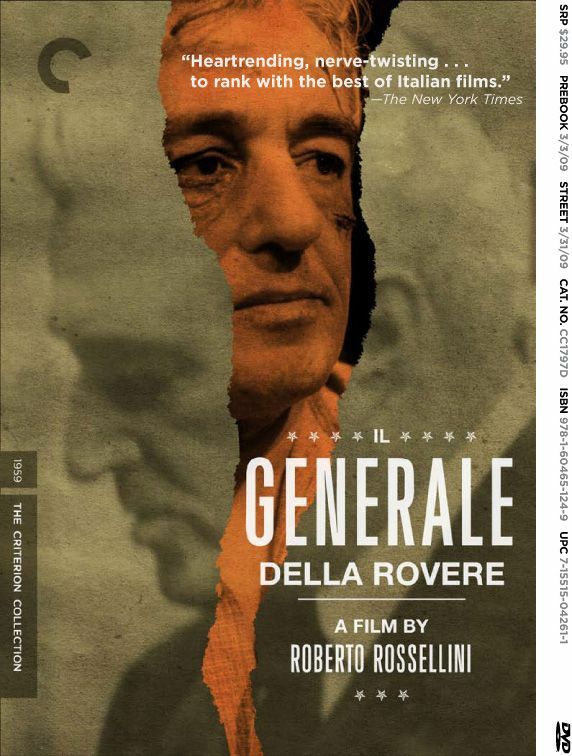 Roberto Rossellini’s gripping drama, among his most commercially popular films, is further evidence of the compassionate artistry of one cinema’s most important voices. 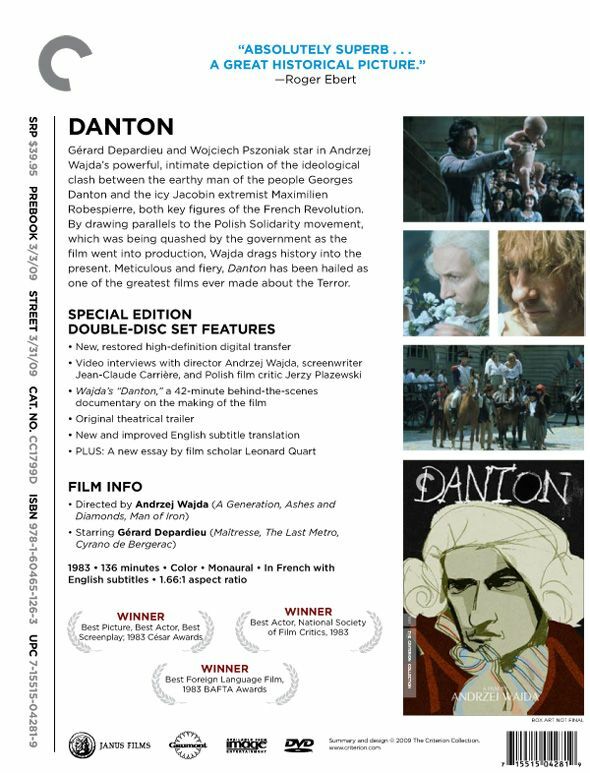 Gérard Depardieu and Wojciech Pszoniak star in Andrzej Wajda’s powerful, intimate depiction of the ideological clash between the earthy, man-of-the-people Georges Danton and icy Jacobin extemist Maximilien Robespierre, both key figures of the French Revolution. By drawing parallels to Polish “solidarity,” a movement that was being quashed by the government as the film went into production, Wajda drags history into the present. 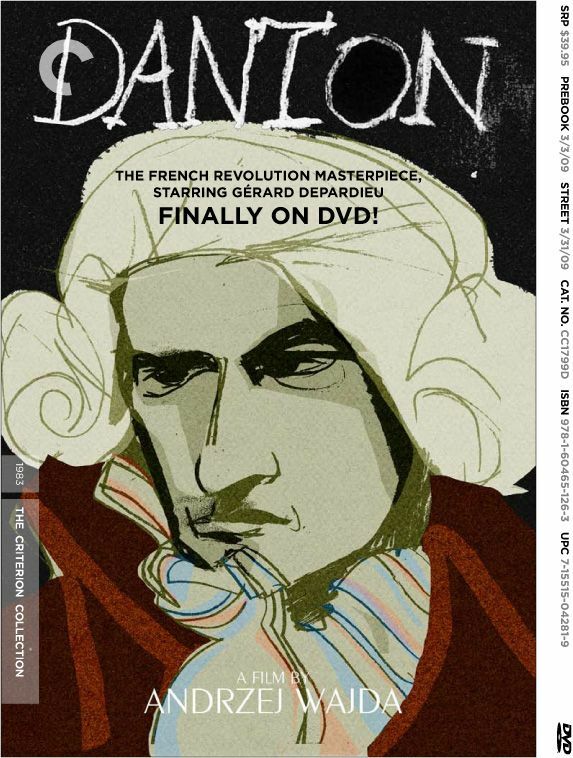 Meticulous and fiery, Danton has been hailed as one of the greatest films ever made about the Terror. 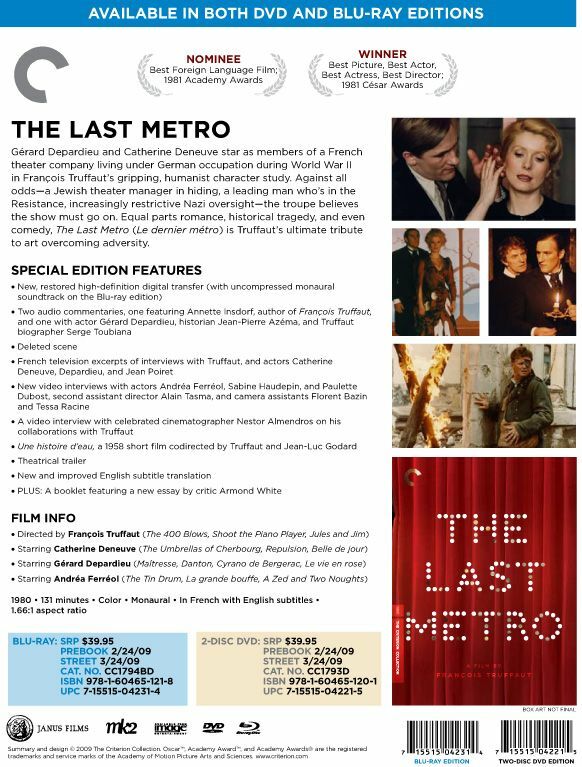 Gérard Depardieu and Catherine Deneuve star as members of a French theater company living under the German occupation during World War II in François Truffaut’s gripping, humanist character study. 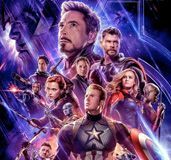 Against all odds—a Jewish theater manager in hiding; a leading man who’s in the Resistance; increasingly restrictive Nazi oversight—the troupe believes the show must go on. 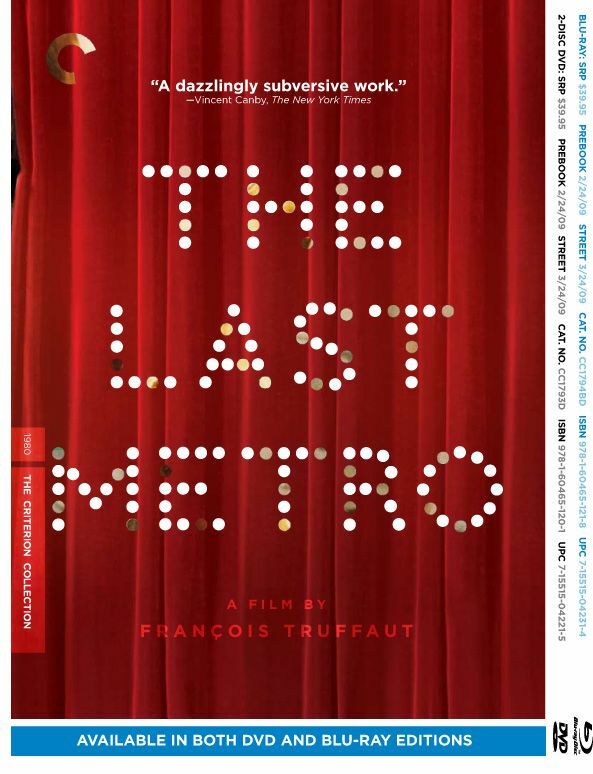 Equal parts romance, historical tragedy, and even comedy, The Last Metro (Le dernier métro) is Truffaut’s ultimate tribute to art overcoming adversity, and the winner of ten César awards (France’s equivalent of the Oscars), including Best Picture, Best Actor, and Best Actress. Shimizu’s exquisite silent drama, set in the modernizing port town of Yokohama, tells of the humiliating social downfall experienced by Sunako (Oikawa Michiko) after jealousy drives her to commit a terrible crime. With its lushly photographed landscapes and innovative visual storytelling, Japanese Girls at the Harbor shows a director at the peak of his powers and experimentation. This edition features a new score by renowned silent-film composer Donald Sosin. Shimizu’s endearing road movie follows the long and winding route of a sweet-natured bus driver—nicknamed Mr. Thank You for his constant exclamation to pedestrians who kindly step out of his path—traveling from rural Izu to Tokyo. Romance and comedy occur, and tragedy threatens, among his passengers, a virtual microcosm of depression-era Japan. A pair of blind masseurs, an enigmatic city woman, a lonely man and his ill-behaved nephew—The Masseurs and a Woman is made up of crisscrossing miniature studies of love and family at a remote resort in the mountains. With delicate and surprising humor, Shimizu paints a timeless portrait of loneliness and the human desire for connection. Two bruised souls enact a tender, hesitant romance in Shimizu’s alternately poignant and playful wartime love story. A soldier (played by later Ozu regular Chishu Ryu) is waylaid at a rural spa when he accidentally cuts his foot on the titular object. Soon enough he tracks down its lovely owner (Kinuyo Tanaka) and finds himself smitten. ALSO THIS MONTH: FOUR CRITERION COLLECTION CLASSICS, BACK IN PRINT! A mysterious writer of poison-pen letters, known only as Le Corbeau (the Raven), plagues a French provincial town, unwittingly exposing the collective suspicion and rancor seething beneath the community’s calm surface. Made during the Nazi Occupation of France, Henri-Georges Clouzot’s Le Corbeau was attacked by the right-wing Vichy regime, the left-wing Resistance press, the Catholic Church, and was banned after the Liberation. But some—including Jean Cocteau and Jean-Paul Sartre—recognized the powerful subtext to Clouzot’s anti-informant, anti-Gestapo fable, and worked to rehabilitate Clouzot’s directorial reputation after the war. Le Corbeau brilliantly captures a spirit of paranoid pettiness and self-loathing turning an occupied French town into a twentieth-century Salem. Down a foggy, desolate road to the port city of Le Havre travels Jean (Jean Gabin), an army deserter looking for another chance to make good on life. Fate, however, has a different plan for him, as acts of both revenge and kindness render him front-page news. Also starring the blue-eyed phenomenon Michèle Morgan in her first major role, and the menacing Michel Simon, Port of Shadows (Le Quai des brumes) starkly portrays an underworld of lonely souls wrestling with their own destinies. Based on the novel by Pierre Mac Orlan, the inimitable team of director Marcel Carné and writer Jacques Prévert deliver a quintessential example of poetic realism and a classic film from the golden age of French cinema. Blacklisted for his daring “anti-French” masterpiece Le corbeau, Henri-Georges Clouzot returned to cinema four years later with the 1947 crime-fiction adaptation Quai des Orfèvres. Set within the vibrant dance halls and crime corridors of 1940s Paris, Quai des Orfèvres follows ambitious performer Jenny Lamour (Suzy Delair), her covetous husband Maurice Martineau (Bernard Blier), and their devoted confidante Dora Monier (Simone Renant) as they attempt to cover one another’s tracks when a sexually orgreish high-society acquaintance is murdered. Enter Inspector Antoine (Louis Jouvet), whose seasoned instincts lead him down a circuitous path in this classic whodunit murder mystery. A beautiful ingenue joins a tawdry music hall troupe and quickly becomes its feature attraction in Federico Fellini’s stunning debut film (directed in collaboration with neorealist filmmaker Alberto Lattuada). Featuring Giulietta Masina, Fellini’s wife and frequent leading lady, Variety Lights introduces the director’s affection for the carnivalesque characters that frequent the cinematic landscape of such classics as Nights of Cabiria, La strada, and La dolce vita.